Located in the Southwest Colorado Rocky Mountains within the Gunnison National Forest, Crested Butte is best known for its extreme terrain. It's steep and there are lots of double black diamond runs. Crested Butte is considered the birthplaces of freeskiing by starting the first freeski extremes competitions. 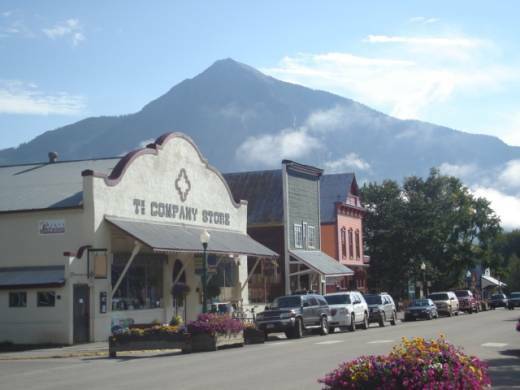 The town was originally a mining supply town settled in the 1880s and architecturally reflects its roots. The town of Crested Butte is three miles (4.8 km) from the resort base known as Mount Crested Butte. There is a free shuttle between the two. The town provides the bulk of the nightlife, bars, restaurants and shopping. If you get a fresh dump of snow, don't forget the "First Tracks Breakfast" option. They will send you on a blue run to the Paradise Warming House for breakfast. The "Fresh Tracks" group will take an early ride on the Red Lady Express Lift to be the first one to track the mountain. Call 1-800-810-SNOW for reservations. 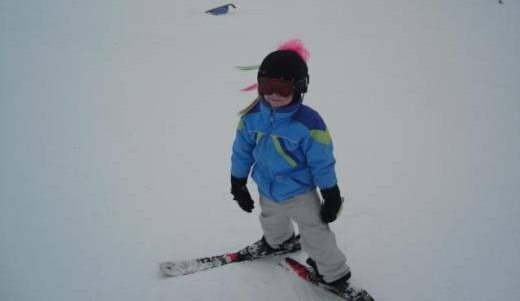 Note: The famous ski for free weeks were discontinued after 2000 but were offered again from November 25 to December 15, 2007 and will be offered again from November 26 to December 17 2008. 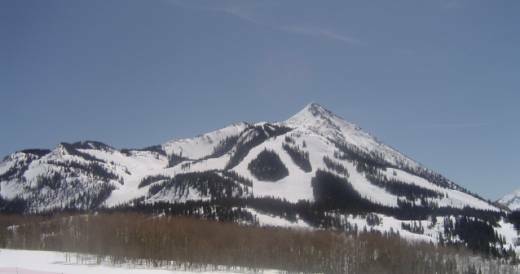 This is what Crested Butte is famous for and you will find plenty of steep terrain here. The best chute: Banana Funnel. If the top is not too wind blown, you can take "High Lift" (get there from the top of "Silver Queen Express" lift) and traverse to Banana Funnel. You aren't going to get in at the top and it's not a bad traverse. Runs: "Peak" and "Banana Funnel" - Not a clear day but what is clear is that the chutes off of the "Peak" are steep! You will find Butte's finest mogul run, "Jokerville", off of the top of "Twister Lift". The namesake run "Twister" is also noteworthy. Run: "Hawk's Nest" - shown above is one of the many double black diamond runs off to the left side of the trail map. 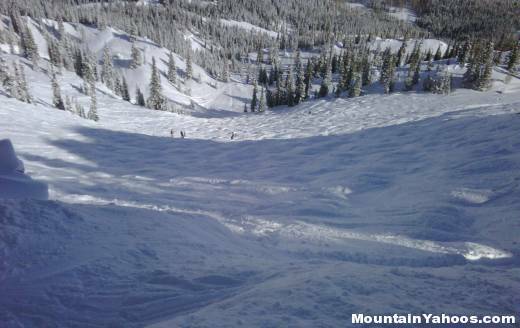 The advanced skier should try Teocalli Bowl while the intermediate skier might find Paradise Bowl more to their liking. 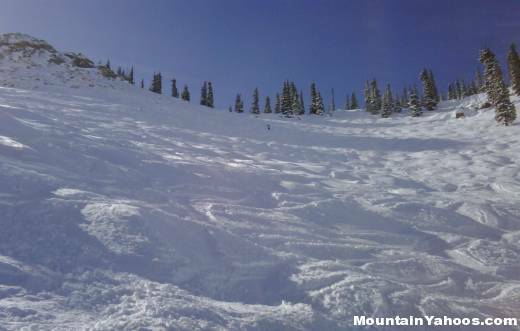 Tree glades with kind open spacing and a pleasure to ski can be found on the Phoenix Bowl area. Its not Crested Bitte's forte. 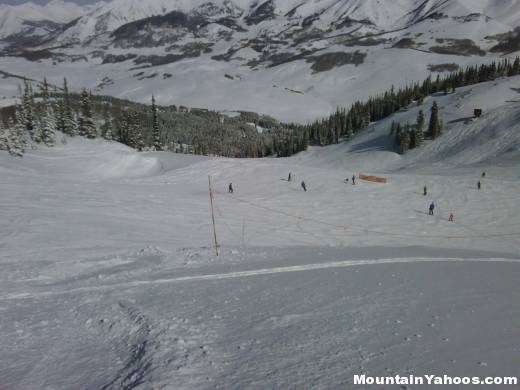 While Crested Butte lists 57% of their terrain as intermediate, it is not a believable figure (someone in their staff goofed). There are plenty of groomed beginner runs. 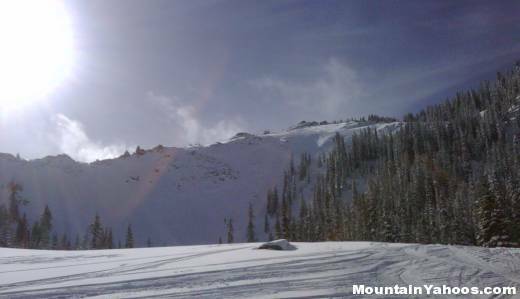 Intermediate skiers may just have to step it up a notch to enjoy this mountain. There is also a "Kids Base Camp" with kid friendly bathrooms and play areas. This mountain has three terrain parks with a superpipe, jumps and rails. DC Terrain Park: This is the main boarder terrain park with a 400 ft long, 17 ft high superpipe which is located under the "Paradise Express Lift". The two others are for beginners and are accessible from "Red Lady Express Lift" and "Painter Boy Lift". 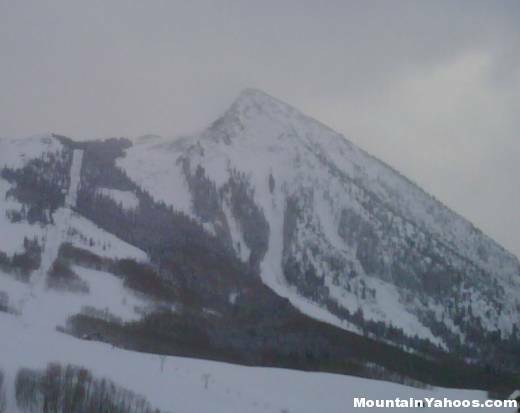 I believe that most boarders will enjoy the extreme terrain at Crested Butte more than the snowboard parks. Apres Ski Bar recommendations: Try the "Ice Bar" on the mountain and made of ice! The shot glasses are ice too... You may have to drink the shot quickly or the glass develops a hole. The good news is that the trail from the "Ice Bar" to the parking lot is an easy green. Also check out Rafters, Avalanche or Butte 66 (Treasury Bld.) at the base of the lifts. While the main apre ski activities are at the mountain base, the town of Crested Butte quickly picks up where the mountain base leaves off and continues into the evening. The Crested Butte Nordic Center has 20 miles of groomed trails for cross country skiing or snowshoeing and an Ice Skating Center. It is located at Big Mine Park (2nd Street & Whiterock Ave) located within a reasonable walk from town or take the bus which has a stop located here. Rentals are available as well as lessons and back country tours in the Gunnison National Forest. 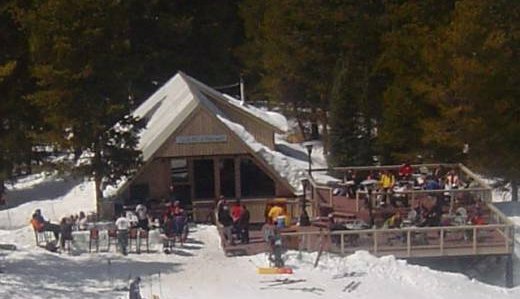 Uncle Bob's restaurant recommendations: The Avalanche Bar and Grill (at the mountain ski area) will server you breakfast lunch and dinner, Slogars Bar and Restaurant (for grilled steaks and skillet-fried chicken) and Brick Oven Pizzeria (best salad bar, pasta, pizza and subs). This town has no shortage of places to eat. Just wander down Elk street and you will find plenty of choices. The finest: French: Le Bosquet and Soupcon, Italian: Bacchanale, and wild game at the Buffalo Grille. The town of Crested Butte can provide for most needs. Shopping is most plentiful on Crested Butte's main street, Elk Street. Try Talk of the Town (locals, billiards), the Eldo (The El Dorado), the Crested Butte Brewery/Idle Spur (microbrewery, live music) and Kochevar's (locals). You can also wander down Elk Avenue and pick something to suit your taste (i.e. The Princess Wine Bar).